Tower of Terror makes a valid claim to being Disney's most thoroughly themed thrill ride. The burned out shell of the Hollywood Tower Hotel sets the mood as you approach and entering the grounds plunges you into an art deco hotel where things haven't been going so well since lightning struck the building decades ago. At it's heart, Tower of Terror is a drop ride; you go up and then you go down, very quickly. Over the years, the drop part has been spiced up with starts and stops and most recently a randomizer so every time you ride could be a little bit different. 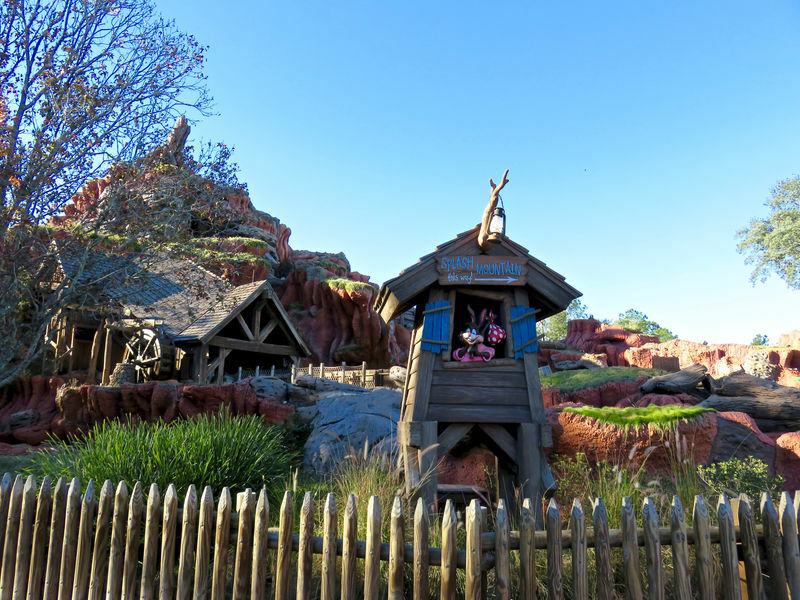 It is one of the most advertised rides at Walt Disney World and its popularity has seen it replicated at the Disney's California Adventure (2004), Tokyo DisneySeas (2006) and Disneyland Paris (2007) gets a copy as well. 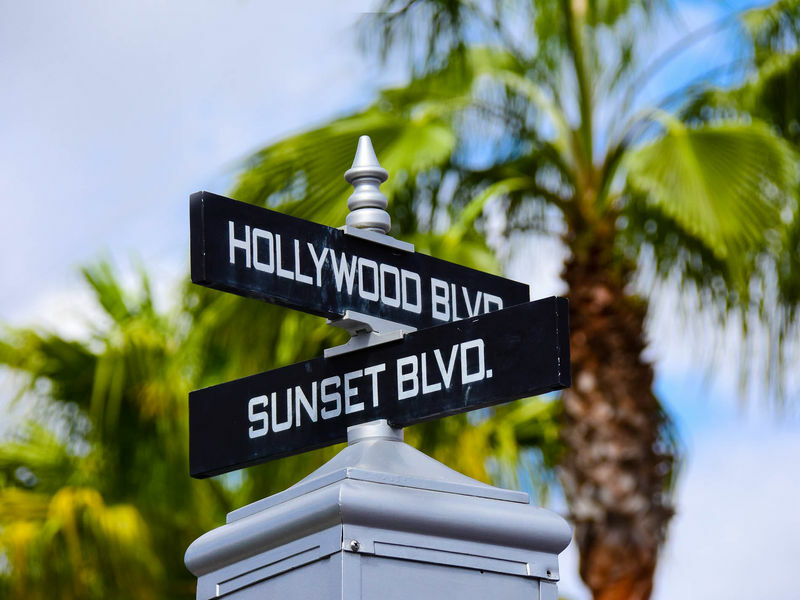 Location: At the far back end of Sunset Boulevard, the Hollywood Tower Hotel looms over everything in the area so it would be hard to miss. # of Ride Units: Six elevators shafts, with up to eight elevator cars running simultaneously. 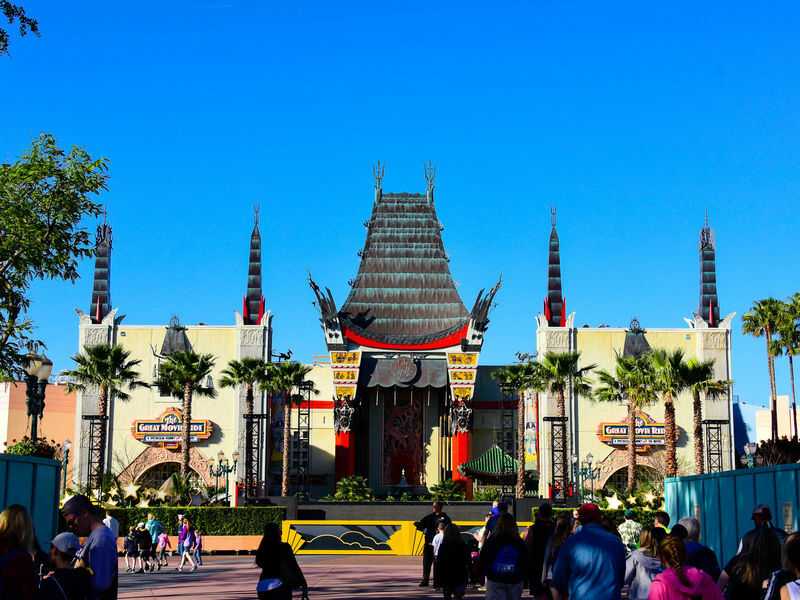 Wait Times: The standby lines can be very long except on the slowest days during the off season. The best chance for a line under 20 minutes is first thing in the morning or at the end of the day. Using FastPass is strongly recommended and the close proximity to Rock 'n' Roller Coaster makes these a good candidate for getting FastPass for one of them while waiting in line for the other. Queue Description: The external queue winds through the meticulously "unmaintained" gardens of the Hollywood Tower Hotel. You then enter into the lobby of the hotel before being directed to the library for the pre-show movie. From there you move into the bowels of the hotel where the boilers and maintenance elevators are to await your trip into the Twilight Zone. Health Restriction: Tower of Terror involves lengthy periods in darkness and sudden acceleration and deceleration during the drop sequence. People with known health, back, or neck problems should not ride. While most of the ride occurs indoors, during the drop sequence, views of the outside world are shown so people with an intense fear of heights may want to take that into account. Ride Access: The entire queue is wheelchair accessible but ECV users will need to transfer to a wheelchair. Wheelchair Transfer: Guests must transfer from wheelchairs into the ride vehicles. Audio: The pre-show is entirely audio based and there are short snippets of audio during the attraction. Translation devices are available for rent at Guest Services. Weight and Size Issues: The seats used in the elevators are large and should accommodate almost any guest. Height Restriction: 40" (102 cm.) to ride. Other Issues: To use child swap still requires taking the child through the pre-show film for the ride; at the conclusion of the film the room is plunged into momentary darkness and there are loud noises. On the ride itself there are moments of darkness as well as spooky effects. Of course, the final payoff of the ride is a recreation of an elevator accident where the cabin plunges 13 stories so not all children may be ready for that. At this location: Twilight Zone Tower of Terror is the first public use of this area. The Attraction's History: From the outside the attraction hasn't changed much since it opened in 1994. And yet, the ride is advertised as Twilight Zone Tower of Terror 4. The reason for this is that over the years the actual mechanics of the drop from the top of the hotel have been changed several times. When the ride first opened it was a a simple drop ride. You rode to the top of the hotel and then dropped to the basement. In 1996, Version 2 ("Twice the Fright") made its appearance and added a second drop to the ride. Then in 1999, "Fear in Every Drop" (Version 3) made the drop sequence much more complex with a series of false starts and sudden stops before finally falling to the basement. In late 2002 Version 4 ("Never the Same Fear Twice") put the computers in control so that each drop involved a different randomly selected sequence of events for the drop. Rumors swirl that Imagineers are working on a Version 5 but, if true, details are not yet known. A foot short: The Hollywood Tower Hotel is 199 feet tall. This avoids, by one foot, regulations that would require the building to have flashing lights to warn low-flying aircraft. At one time it was the tallest structure at Walt Disney World but this changed with the Mickey hand was added to Spaceship Eart at Epcot for the Millennium celebration. That's quite good: In the hotel's lobby there is a plaque giving the hotel a 13-diamond rating from the American Automobile Association. Their real ratings only go to up to 5 diamonds. 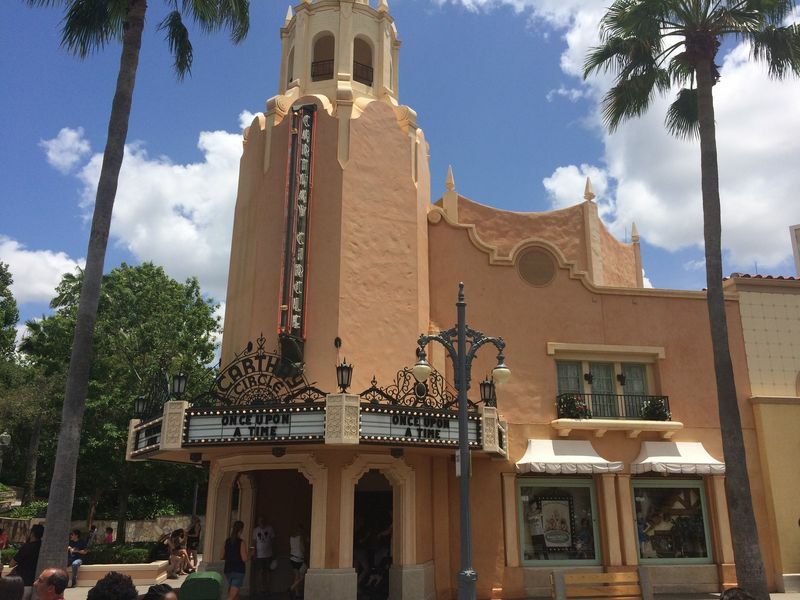 There's no small part...: This attraction inspired a made-for-TV movie, called Tower of Terror starring Steve Gutenberg and a young Kirsten Dunst. Though set in 1997 the movie explores the backstory behind the attraction.